I like to "doodle" on the computer and create designs. The Silhouette Studio software has several features that make it possible to produce new patterns very easily. You can mirror, duplicate and rotate a shape to create intricate patterns quite quickly. 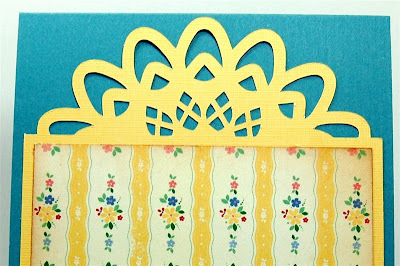 I welded a doily shape that I drew in the Silhouette Studio software to a rectangle and resized the layer to fit on a standard A2 card. 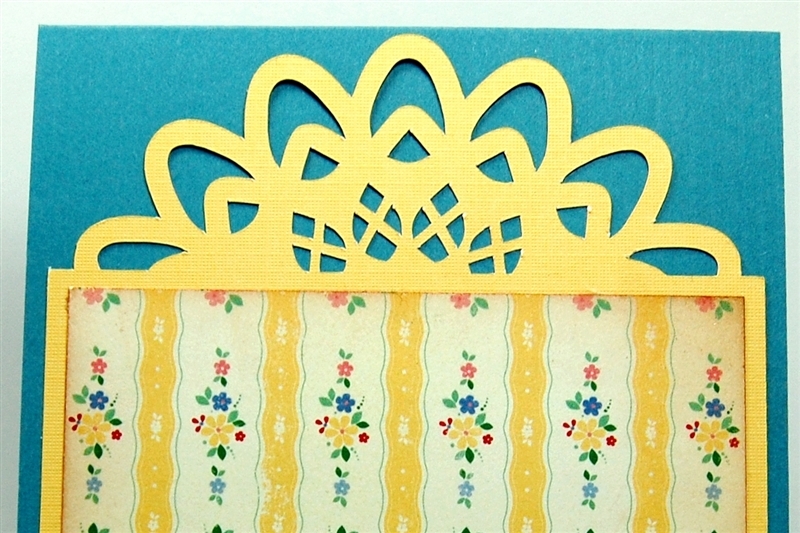 I eliminated some of the extra inner shapes to make a tiara effect for the top of the card mat. Next, I cut a piece of patterned cardstock at 3 3/4 x 3 3/4 inches to fit on the mat with an even border on three sides and the bottom edges aligned. 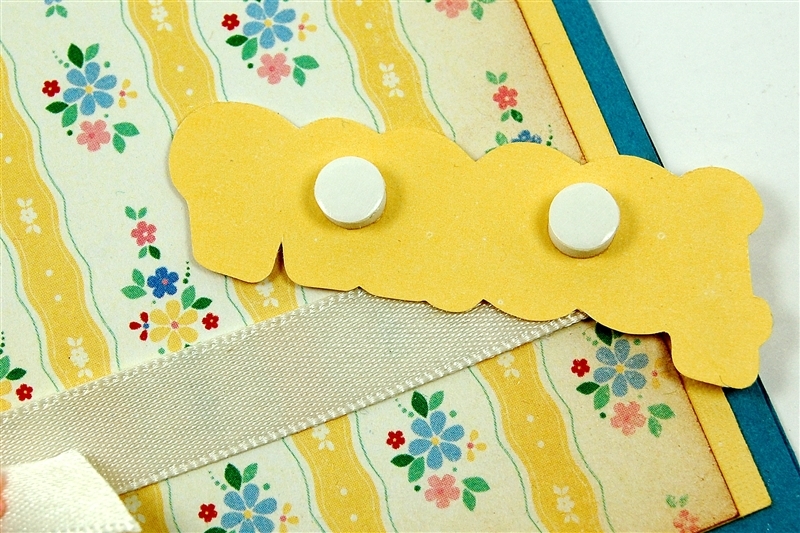 The paper with the delicate floral pattern is from the English Garden stack by Making Memories. I inked the edges just a bit with Vintage Photo distress ink. 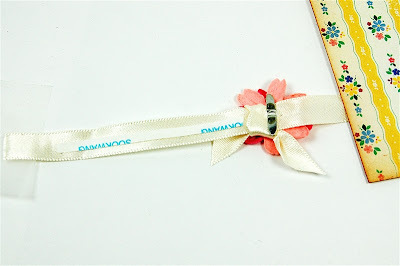 Two Prima flowers layered and joined with a jeweled brad from Creative Charms make a pretty accent on a piece of ribbon with an extra piece tied on to imitate a knot. 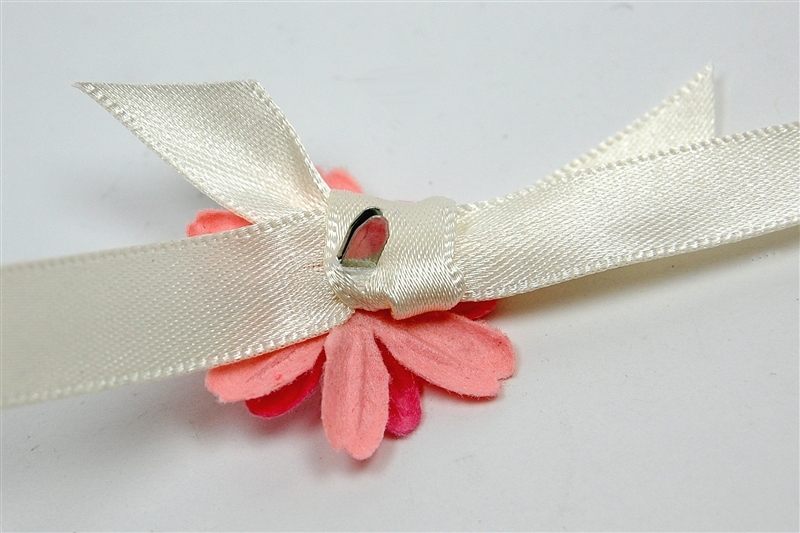 The brad is pushed through all of the layers of ribbon to keep things neatly in place. I used a pointy tool to start the hole for the dull brad ends. 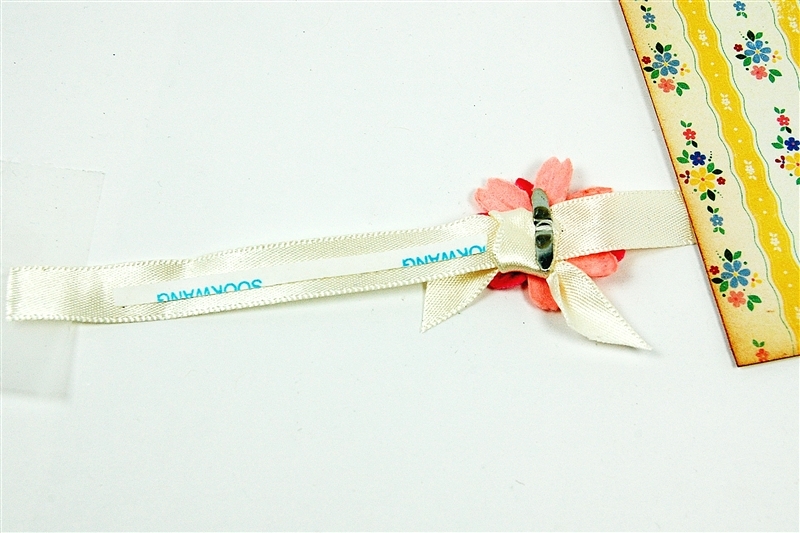 I placed the embellished ribbon across the floral layer and taped the shorter side to the back of the paper. Then I added a bit of 1/8 inch Scor-Tape to the ribbon to secure it to the layer and taped down the other end on the back. I wanted to add a sentiment to the front and, since I was feeling a bit lazy, I quickly checked my library of files to see if I had anything appropriate. I could have simply chosen a font and typed my words if I didn't see anything I liked. I discovered this set of words and shapes and thought that "sweet" would suit my card nicely. I wanted to shadow the word to make it stand out a bit more against the busy floral background. One of my favorite feature in the Silhouette software is the ability to create a shadow or "Offset" with just a few clicks. The shadow can be adjusted in width to suit your design preference. On the Cricut fonts that have shadows, the width of the shadow varies proportionately with the size of the image so you can't make a very thin shadow for a large word or a thick shadow for a small word. 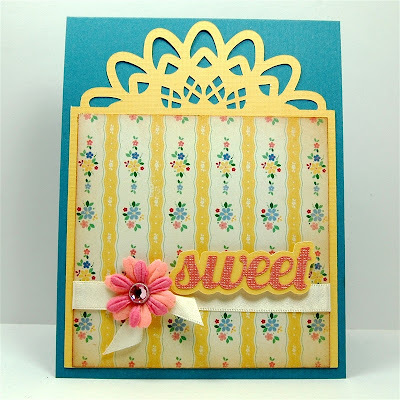 I adjusted the size of the offset and cut the shadow for "sweet" from the same cardstock that I used for the doily topped mat layer. A couple of foam dots help raise the matted word slightly above the ribbon. I nestled it in place right beside the flowers. 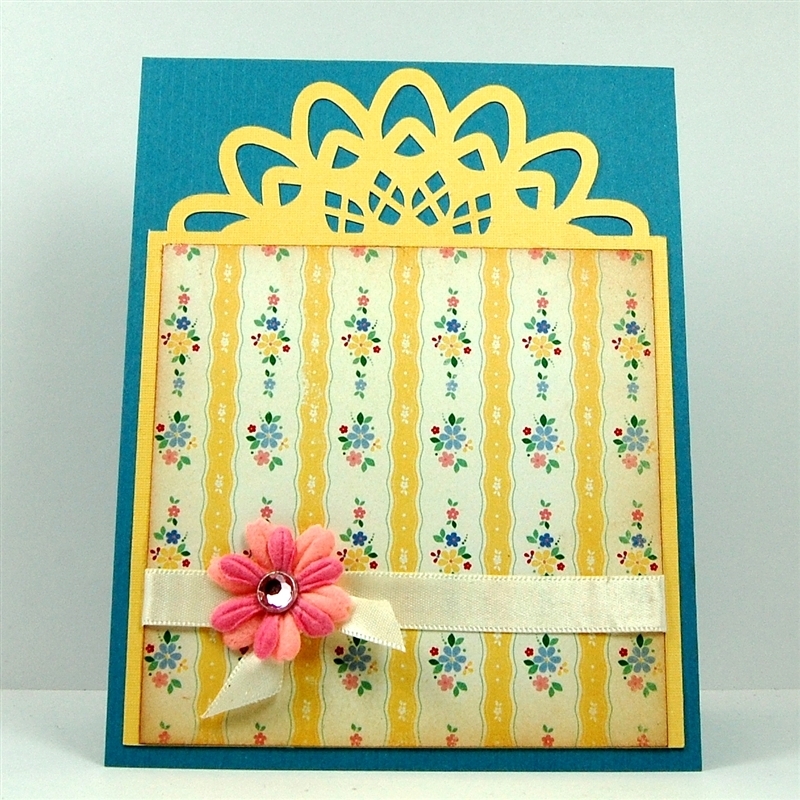 The card base is cut at 11 x 4 1/4 inches and folded at the top for a tent style card. Simple and sweet - this card could be used for a baby, birthday or thank you. 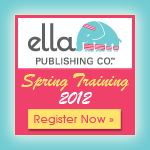 Be sure to check out the information about the Spring Training 2012 course that Ella Publishing is offering from April 23 to May 4th. Check the post HERE to get more details and to leave a comment for a chance to win a free spot. Only the comments left on the original post will be included in the random drawing. There are five great instructors and access to the videos will never expire. If the random number generator doesn't pick your number, I think the course will be well worth the price - so sign up and join in the fun! Hi Diane, lovely card. Have a great day. WOW - this is a beautiful card. I love how creative you are with the different designs that you have done. 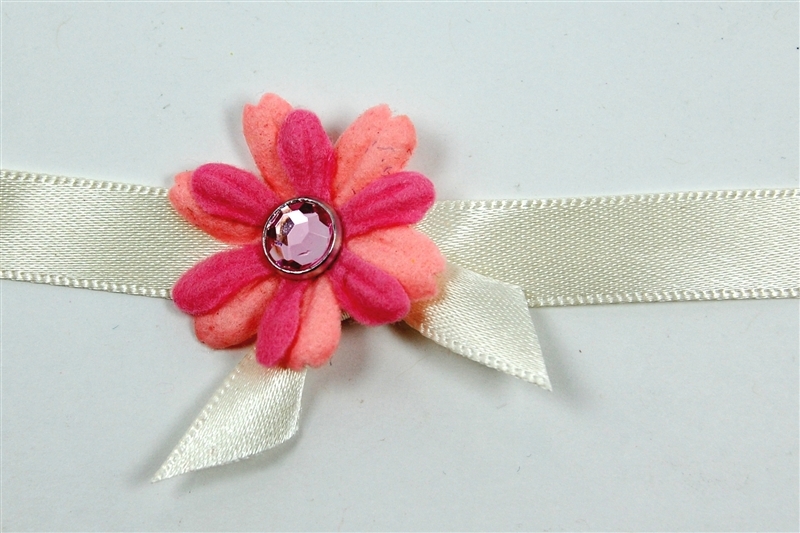 I have never tried to poke my brads through my ribbon like you have done, I always trim them with my wire cutters then hot glue them to my ribbon. What a lovely card, Diane. TFS how you did it. I like how the Silhouette allows you to adjust your shadow--that's really a neat feature!--Pat N.
Being computer "challenged", I am not sure if would be wise to buy a Silhouette. I know they say it is easy, however, for those not so able to get around on the computer as you do, would it be useful to me? I have the Expression, Imagine and Gypsy and use them to their capacity. Any thoughts would be helpful. 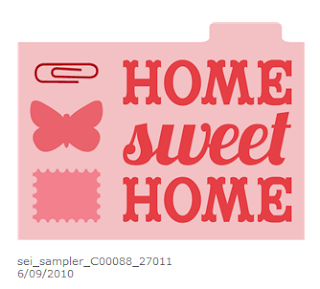 Your Home Sweet Home design is gorgeous. I would love to know how to do that. 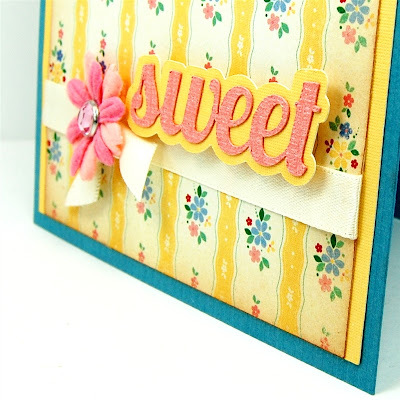 Your card is definitely SWEET. It reminds me of a little baby girl. Great job as usual. 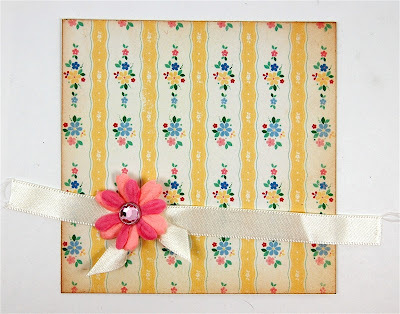 Your positive comments and beautiful desings are making the Cameo sound so very appealing! TFS!